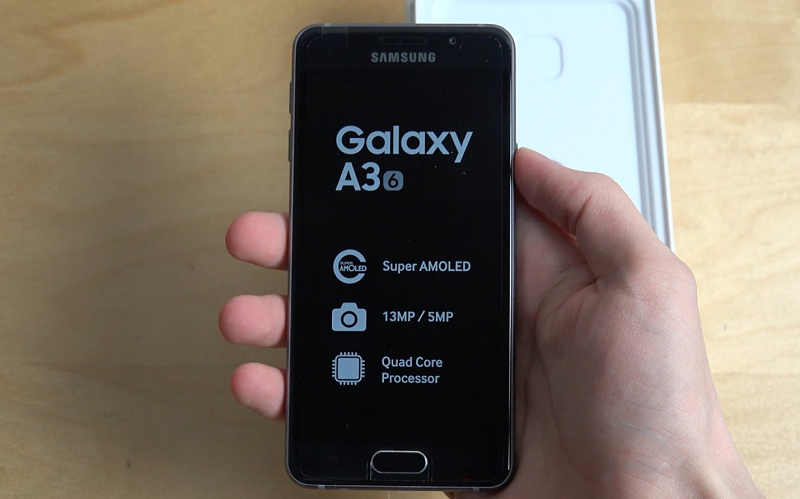 A rare and somewhat weird problem has begun to surface with the Galaxy A3 (2016), post the Android 7.0 Nougat update. Apparently, a large number of Galaxy A3 (2016) users are finding it impossible to get their device to take charge once the battery reaches 87% or so. Although the cause for this issue remains unknown, one thing which can be said for sure is the fact that this issue appeared only after Samsung updated the device to Android 7.0 Nougat. The usual tricks as instructed by the Samsung care executives did not work either. Apparently, clearing the cache or even factory data resets are ineffective for some reason and that's a worrying fact if you own the handset. You can try charging the handset in Safe Mode, but that did not work either, as reported by many users. We are hopeful that Samsung will address the issue soon by releasing an OTA patch, but it remains to be seen when that happens. Stay tuned to YouMobile for more information on the subject. At the end of January, Google noted that its latest Android operating system, Android Marshmallow, has now gained a 1% market share. 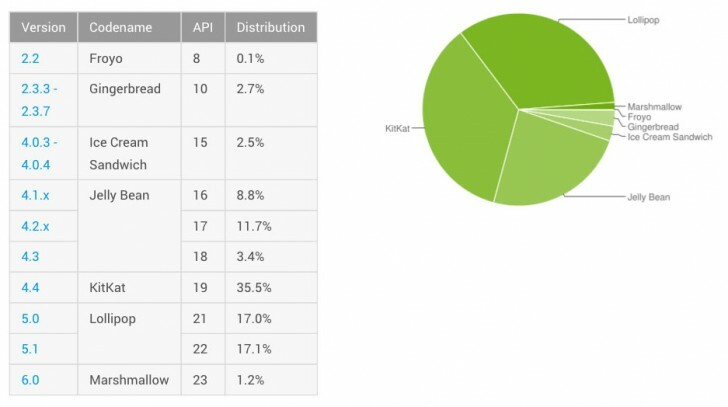 This means that out of all the previously released Android versions, its most recent OS has grabbed a single percentage share (actually 1.2% and rising) of the billion plus Android devices out in the world. 2. Device manufacturers updating their OS skins & supplying updates to customers. In the case of the first point, stores will want to sell out their existing stock before pushing the latest devices. This means that most devices available for sale will still have Android Lollipop loaded. For most phone and tablet users, they haven't even heard of Marshmallow yet. With the second point, manufacturers are typically quite slow in updating their altered versions of Android. With Samsung, their TouchWiz skin overlay has to be tested to be compatible with the new version of Android. As a result, updates to the core operating system are slow to come, and on older devices, sometimes don't appear at all. Both of these issues make the adoption of the latest Marshmallow version of Android a slow-going matter. 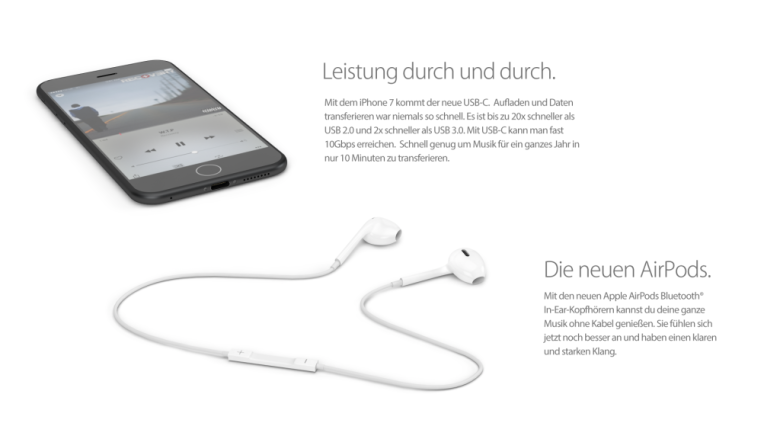 Is the universal standard 3.5mm audio jack a thing of the past for upcoming Apple iPhones? How would you react if your next iPhone came without the 3.5mm jack? The 3.5mm audio port has been the basic universal standard for all media-capable devices and even basic phones for the last several years. According to the latest rumor about the upcoming iPhone 7, Apple is removing it from their future products. What makes this rumor scarier is the fact that it supposedly came from the iPhone 7 supply chain! We are unsure as to why Apple would even make this move as we can clearly predict issues with such a decision from the word go. Firstly, the new lightning port is incapable of supporting analog audio unlike the previous Apple 30-pin connector. Even if a regressively proprietary set of costly headphones with built-in amp and Digital-to-Analog Converter is made available, it would definitely strain the battery in addition to becoming far too complicated. Moreover, this would prevent the user from charging the phone while using headphones. Wireless audio will possibly be a better option if Apple really goes through with this move as your new Apple headsets won't be compatible with anything else you own anymore. In our opinion, the chances of this rumor turning out to be true are pretty slim as the decision would unnecessarily complicate things for the iPhone 7 and frankly, we cannot see a viable reason as to why the company would make such a change to begin with! Tags: users finding difficult charge galaxy 2016 past 87% android marshmallow accelerates past distribution universal standard 3.5mm audio jack thing past upcoming apple iphones?